A disabled Conservative MP has warned the government not to underestimate the difficulty of achieving its aim of halving the disability employment gap because of the extent of “prejudice” faced by disabled people. Paul Maynard, MP for Blackpool North and Cleveleys told a parliamentary debate on access to jobs for disabled people that he had been shocked to discover the extent of prejudice in society when he left school and started seeking work. 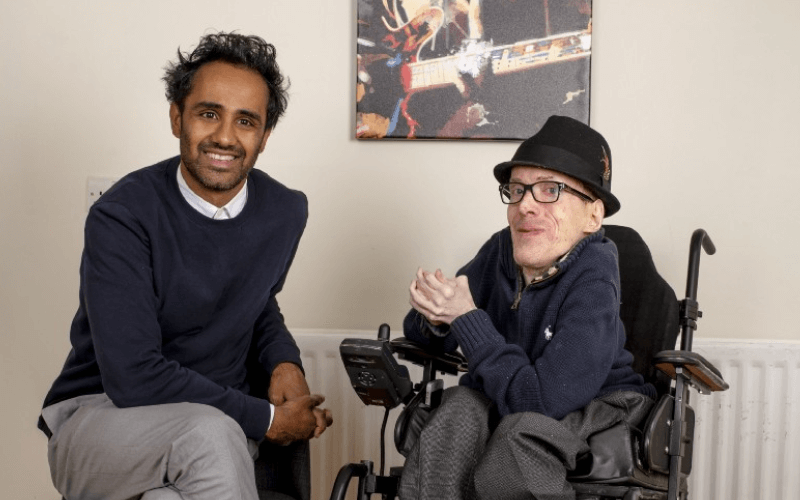 He said: “No one should underestimate the courage, ambition and confidence that young [disabled]people need to try to seek work. “A young person in their teens is probably still at the family home and in the school environment that they have always been in. To a certain extent, they are in a safe environment. “It is not until one gets out there and tries to find a job that one really discovers the existence of prejudice against the disabled in society. “That can be quite a shock to many young people – it certainly came as a shock to me. 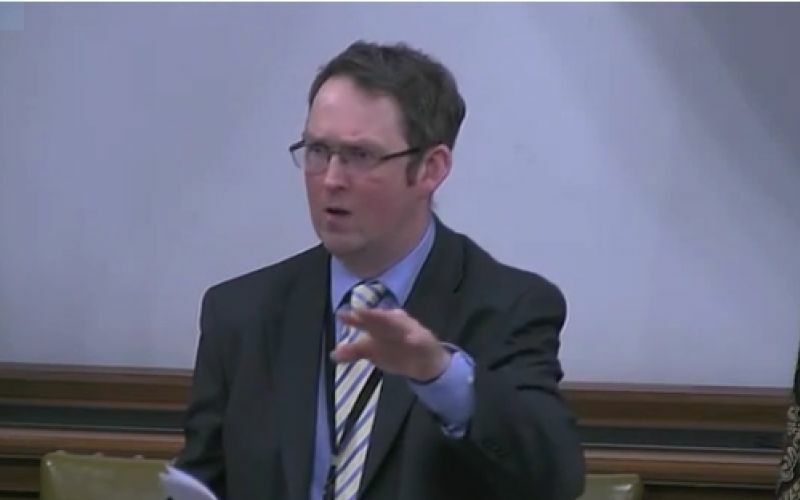 Maynard (pictured during the debate) told MPs that one of the proudest moments of his life was to see in the 2015 Conservative election manifesto a commitment to halve the disability employment gap, the difference between the proportion of disabled and non-disabled people in work. But he warned that the “difficulty will come when those with much more complex needs that are more costly to address come into play in terms of meeting the goal”. Maynard said that young disabled people needed encouragement in seeking work. He said: “They do not aspire to a lifetime of supported employment and their families do not aspire to that on their behalf, either. “They want full equality in the workplace and we must do all we can to make that happen. Maynard called on the government to do more to ensure its Access to Work employment programme was available to job-seekers while they were still looking for work. Maynard also called on the government to merge Access to Work and the disabled students’ allowance into a single scheme. He said that both schemes were about “allowing people to participate in their place of work, be that a college, university or workplace”. Debbie Abrahams, Labour’s shadow minister for disabled people, was critical of the government for creating a “perverse position” in which it was “making cuts to support for disabled people before we have work for disabled people to get into and support for employers”. She said that 3.7 million disabled people had been affected by £23.8 billion in cuts since 2010, while the new welfare reform and work bill would see 500,000 disabled people affected by another £640 million in cuts to new claimants of the employment and support allowance placed in the work-related activity group, while there had been £3.6 billion in cuts to social care since 2010. The Labour MP Mike Kane told the debate that he and fellow Manchester MP Kate Green – a former shadow minister for disabled people – had organised an event under the government’s Disability Confident campaign umbrella, after being asked to do so by the Department for Work and Pensions (DWP). The event in south Manchester attracted 80 employers, but Kane said it relied “extraordinarily heavily on the contacts of the local MPs” and placed “an inordinate strain” on their staff. He said DWP had wanted the MPs to lead the event, but he criticised the “lack of a joined-up approach between various parts of the DWP and the agencies that it brought in to help”. Kane also said he found “quite frustrating” DWP’s failure to follow up the event to find out how the companies implemented the good practice they had learned, and how many disabled people secured pre-employment and employment opportunities. Dr Eilidh Whiteford, who leads for SNP on social justice and welfare in Westminster, said MPs needed to be “honest” with themselves about the extent of the “disadvantage affecting disabled people in the labour market”. She backed a Disability Rights UK proposal to force businesses above a certain size to monitor and publish data on the number of disabled people they employ. Whiteford said this would be “a proportionate and effective way to improve access to work and would possibly help to tackle the direct and indirect discrimination that too many people who are disabled experience in the workplace”. Labour MP Ian Lucas, who secured the debate, raised the case of a disabled constituent, Margaret Foster, who had not worked since a government programme led in 2012 to the closure of the Remploy factory where she worked in Wrexham. His fellow Labour MP Ian Lavery, said more than two-thirds of his constituents in Wansbeck, Northumberland, who previously worked at Remploy had not worked since their factory closed. Responding to points raised in the debate, Justin Tomlinson, the minister for disabled people, said the government hoped to be spending about £123 million a year on Access to Work by 2020 – believed to be the first time he has mentioned such a figure publicly – compared to about £100 million presently, supporting an extra 25,000 people a year. Last month, DWP told Disability News Service that it hoped the total number of disabled people helped by the scheme every year would increase from about 35,000 to about 60,000 by 2021, but that there was no “monetary figure” attached to that aim. Tomlinson told MPs he was “disappointed to hear some of the negatives” about Disability Confident, and hoped to discuss them further, and said he agreed there needed to be measureable outcomes for such events. And he said the government’s aim in closing the Remploy factories had been to “focus support on individuals” and “away from specific workplaces or facilities such as Remploy in order to significantly increase the number of people who could be supported to access the labour market”. He said it had cost about £22,500 a year to support each disabled person working in a Remploy factory, and that all disabled Remploy staff affected by the closure of the factories had been offered “tailored support” for up to 18 months afterwards. Figures from August 2015 showed more than 1,500 former disabled Remploy employees had received such support, while 867 were in work, he said.